Dalai Lama-Dharma-Dharamsala,Yoga Meditation Retreat,Teachings Dharamsala,Dharamshala,Dharamsala Miniguide,India ! This website on Dalai Lama, Dharma, Dharamsala, Yoga, Meditation Retreat in Dharamshala, can be read in your own language by using the Free Translator below.. Discover Dalai Lama Dharma Dharamsala Yoga Meditation Retreat, Dharamshala,India..
dalai lama-dharma-dharamsala,Dalai Lama, Dharma, Dharamsala, Yoga, Meditation, Retreat,Dharamshala India..! In the home of dalai lama-dharma-dharamsala-yoga-meditation-retreat: Rejuvenate yourself with tibetan energetics and tibetan healing techniques,ayurveda health. 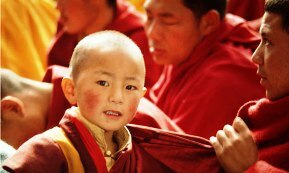 Travel with dharamsala miniguide, study history of tibetan monks, list of tibetan place names, rituals of tibetan buddhism. Attend main teaching dalai lama,amitabha karmapa, learn tbe tibetan chants 21 tara ! Dalai Lama Dharma Dharamsala Yoga Meditation Retreat in India..Spoil yourself with warm, homely hospitality in scenic himalayan retreats like Vidya Niwas..tibetan home..drink herbal tea. Experience the soft himalayan adventures offered in the himalaya mountains...with the ever smiling mountain people of the kangra valley !! In the India Himalayas..have a green vacation in dalai lama-dharma-dharamshala,yoga meditation retreat. 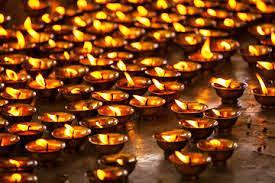 Butter Lamps at Dalai Lama Temple in Mcleodganj Street. Index for dalai lama-dharma-dharamsala,yoga,meditation,retreat.. We have tried to provide you with maximum information on your visit to Dharamsala. In 'Reaching Dharamsala' page you can find your options to travel to Dharamsala. 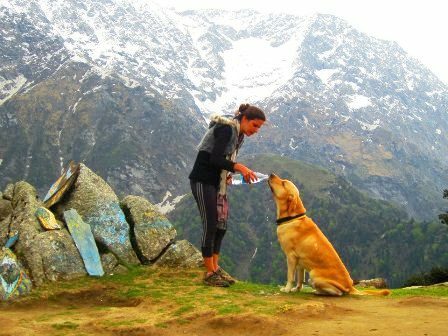 There is a big activity chart on the side column of 'Contact US' page wherein Dharamsala Specials can provide you with a better insight in all what you can do during your trip here.
" The food-the surrounding area,the walks,the Himalayas, warm hospitality of the local hosts.. perfect holiday for enjoying India..." Ann & Steve Brick (San Francisco -USA). Dharamsala Travel,Compassion and Volunteering Dalai Lama Town..Dharamshala..!
" Whenever I meet even a foreigner I have always the same feeling..Iam meeting another member of the human family. This attitude has deepened my affection and respect for all beings. " Dharamsala - The Spirit of the Mountains - Dalai Lama Dharma !!! Welcome to our Site Blog. Discover what is new in Dharamsala, all the latest travel information and Updates on The Dalai Lama and Tibetan Buddhism. 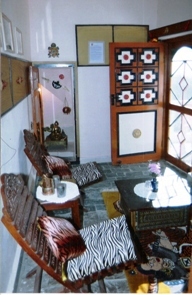 Sangeeta Gurung,Vidya Niwas,Healing Energy,Dalai Lama Retreat,Dharamsala Tours & Travels, Himachal Pradesh, Dharma India, Travel India, Go India Dharamsala. Dalai Lama of Tibet Biograghy, Reincarnation, Buddhist Dharma, Tibet History in Dharamsala, Dharamshala,Buddhist culture,Dalai Lama Home ! Karmapa, Living Buddhas, Dharamsala, Kagyu Dharamshala ! Karmapa In Dharamsala, Discover reincarnation of buddhist lama, biography of HHK, dharma of buddhist tibetan gyuto monks. Dharamshala India ,Dharamsala Food, Herbal,Fruit Wines, Tibetan Food. In Dharamshala India,Nouvelle Cuisine,Kebabs.dumpukt cuisine Restuarants, Steamed Tibetan Momo Cooking at Vidya Niwas !DharamsalaFood,dharamshala street food ! Tibetan Art, Craft, Visit Tibetan Culture Artists at Norbulingka in Dharamsala, Enjoy Thangka Paintings, Lhamo Dance , Buddhist Statues in Dalai Lama Town ! Contact us for your mountain holidays...! Dalai Lama Dharma, Dharamsala ! Vidya Niwas.."Your Choice of Comfort"..Click Graphic. Dalai Lama Dharamsala, Taj Mahal, Rajasthan, Travel India Miniguide..Click Graphic ! 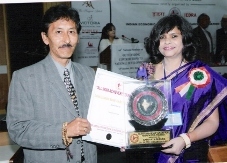 Indian Leadership Award for Tourism & Hospitality presented to 'Dharamsala Tours & Travels"..Sangeeta taking the award in New Delhi, October 2011..